«The best fashion statement» illustrated quotation. Health and exercise, free quote pictures for Facebook, Twitter, LinkedIn, Reddit, Pinterest and other social networks. 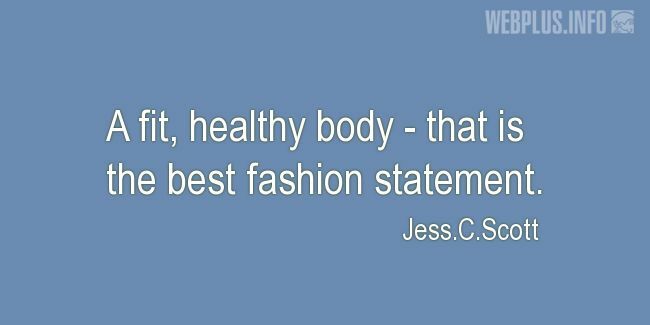 A fit, healthy body - that is the best fashion statement.